Based upon Sir James M. Barrie's 1904 play about the boy who refuses to grow up, the film begins in the London nursery of Wendy, John, and Michael Darling, where three children are visited by Peter Pan. 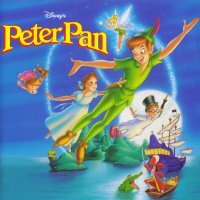 With the help of his tiny friend, the fairy Tinkerbell, Peter takes the three children on a magical flight to Never Land. This enchanted island is home to Peter, Tink, the Lost Boys, Tiger Lily and her Native American nation, and the scheming Captain Hook who is as intent on defeating Peter Pan as he is from escaping the tick-tocking crocodile that once ate a hand of his that Peter Pan cut off--and loved the taste of so much.